Drop the Charges against Rasmea Odeh | Fight Back! The Arab American Action Network (AAAN) condemns the politically-motivated arrest and indictment of Rasmea Yousef Odeh, our beloved Associate Director. The sixty-five year old was arrested at her home yesterday by agents from the Department of Homeland Security, alleging an immigration violation on a 20-year-old application. 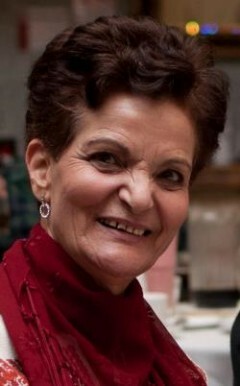 Rasmea, who has made it her life's work to serve and help empower Palestinian and Arab families, is the victim of another witch-hunt by our federal law enforcement agencies, which continue to violate the civil rights of Arabs and Muslims with impunity, particularly those who are critical of U.S. support for Israel's crimes against the Palestinian people. Rasmea is a leading member of Chicago's Arab and Muslim communities, and her decade of service here has changed the lives of thousands of people, particularly disenfranchised Arab women and their families. She has been with the AAAN since 2004, and as Associate Director, is responsible for the management of day-to-day operations and the coordination of our Arab Women's Committee, which has a membership of close to 600 and leads our work in the areas of defending civil liberties and immigrant rights. She is a mentor to hundreds of immigrant women, as well as many members of our staff and board, and is a well-known and respected organizer throughout Chicagoland, the U.S., and the world. Earlier this year, Rasmea received the "Outstanding Community Leader Award" from the Chicago Cultural Alliance, which described her as a woman who has "dedicated over 40 years of her life to the empowerment of Arab women, first in her homes of Palestine, Jordan, and Lebanon, where she was an activist and practicing attorney, and then the past 10 years in Chicago." Rasmea is a community icon who recently completed a Master's degree in Criminal Justice from Governors State University. She overcame vicious torture by Israeli authorities while imprisoned in Palestine in the 70s, and is a proud reminder of the millions of Palestinians who have not given up organizing for their rights of liberation, equality, and return. It is appalling that our government is now attempting to imprison her once again. We condemn this attack on our friend and colleague Rasmea, as well as the broader pattern of persecuting Arabs and Muslims who are outstanding and outspoken leaders in their communities in the U.S.
We ask all of our supporters to call Barbara McQuade, U.S. Attorney for the Eastern District of Michigan in Detroit, at 313.226.9501 or 313.226.9100, on Friday, October 25th, from 8 AM to 4 PM CST, to demand that she Drop the Charges Now! We will also be mobilizing to support Rasmea at her next hearing in Detroit on November 1st. Details coming soon.